The staff of Instructables know how to cut loose and cool off in this already-too-hot summer. They’re making their own popsicles out of cocktails. If only everyone were lucky enough to have employers who endorse these kinds of projects at work. So the problem here is the the freezing point of liquor. Your margarita, daiquiri, strawberry with champagne, white russian and other favorites just aren’t ever going to solidify in a run-of-the-mill freezer because zero degrees Fahrenheit just won’t cut it. So the big guns were brought to bear. 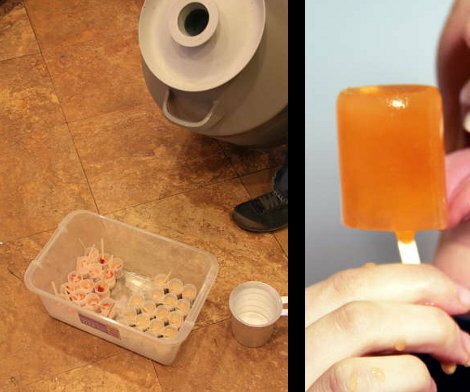 The cocktail-pops were lined up in a container and dowsed with liquid nitrogen. The substance boils off at around -321 F, more than cold enough to quickly freeze these alcoholic goodies. But use caution. After they’ve been frozen you need to throw them in the freezer to warm them up. The first guinea pigs burned their tongues when trying to lick the pops too soon. Don’t want to buy your liquid nitrogen? Why not just make your own? A bit of clever design lets you mount a screen and gaming hardware right on this controller. 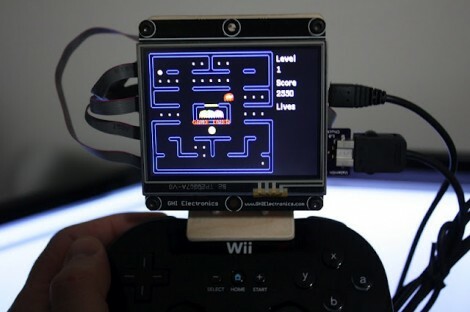 [Valentin Ivanov] had already been using the Wii Classic Controller Pro as an input for his Gadgeteer-based projects. He wanted a way to marry the project board, display, and controller into one single unit. 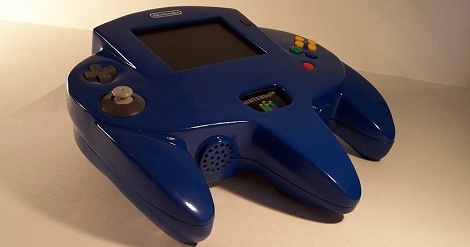 We’re huge fans the design because it doesn’t require any alteration of the controller. Instead, five carefully designed pieces were cut from some thin plywood. They lock together into an assembly that embraces the top of the controller while providing plenty of mounting options for the prototyping hardware thanks to a large grid of holes. A couple of pieces of bronze rod lock the mounting bracket in place by keying into the screw holes in the bottom of the controller. In the image above you can see Mini Pacman running on the rig. It’s now nearly portable, only relying on a barrel jack for power but we’re sure a battery pack could stand in if necessary. A picture’s worth a thousand words so what is a hat that can take 360 degree pictures worth? Just make sure you put it on whenever leaving the house and capturing that next memorable moment will be just one click of a button away. [Mikeasaurus] recently put together this… special… headgear. He used film-based disposable cameras and this choice presented a few interesting challenges. But the choice is not necessarily a bad one, as you can get six of these without really blowing your budget. He cut the top off of a plastic garbage can to serve as a headband on which to mount the hardware (zip-ties to the rescue). But things get hairy when it comes to triggering all of the shutters at once. These are spring-loaded shutter releases and you can’t just patch into them electrically like you could a digital camera. 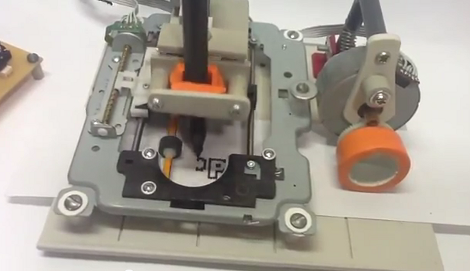 His solution is a group of six servo motors which do the button pushing for him. A thirty-six exposure trial run turned out okay. Several times the shots didn’t come out, but at the end of his post he shares a few of the good ones that did. We’re going to stear clear of this one as we can’t abide manually winding all six cameras between each shot. 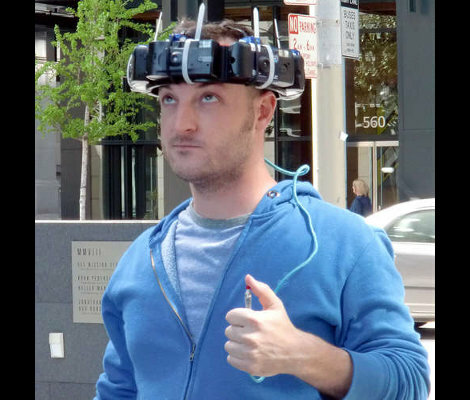 But it does give us an idea for a single-camera hat that uses a 45-degree mirror which swivels. We’ll just put that one in the growing pile of ideas we need to make time for. Whether you’re using emacs, vi, or vim, your fingers will be performing acrobatics on your keyboard because of the mouseless interface. [alevchuk] thought his feet could be used as a way to reduce the amount of keystrokes, so he built the vim clutch. 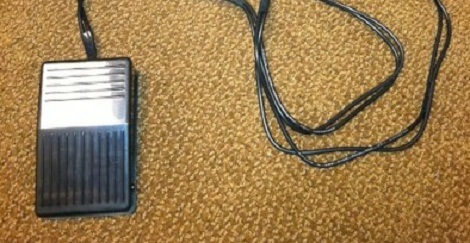 It’s a USB-enabled foot pedal that will insert characters before the cursor in vim. Vim requires the user to type the letter ‘i’ to insert text before the cursor. [alevchuk] thought this function could be easily replicated by a foot pedal, so he found an extremely cheap USB foot pedal to serve as his vim clutch. Ideally, the pedal should send ‘i’ when it is pressed and Esc when it’s released. [alevchuk] took two pedals, programmed one to send ‘i’ and the other to send Esc, and put them in the same enclosure. The result is a working clutch for inserting before the cursor in vim. [alevchuk] is looking into a three-pedal model to add inserting at the beginning and end of the line to his vim clutch, so we’ll keep an eye out for when he posts that build.